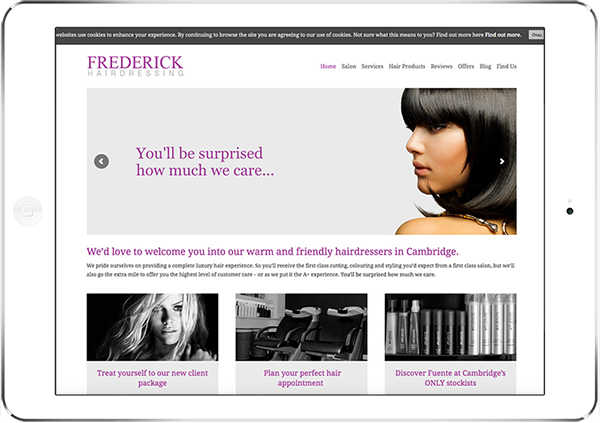 Frederick Hair is a warm and friendly hairdressers in Cambridge and our digital partner approached us to help them create a new search engine friendly website. Their salon has an older clientele so wanted something that was wasn’t too out there, Something that was clean, simple and easy to use and appealed to their audience. They asked us to create a modern, responsive website that allowed their customers to view their services and products online and something they could update and manage themselves. They also wanted to increase traffic to their website and increase the number of enquiries coming into the website, so needed to have a website that was search engine friendly to help improve website visibility in google. We built a Simple, mobile responsive, modern website reflecting them as leaders over their competitors that showcases all their services and products clearly on their website as with a simple, easy to use website. We also ensured that the website was search engine friendly which has helped with customer enquiries and sales. 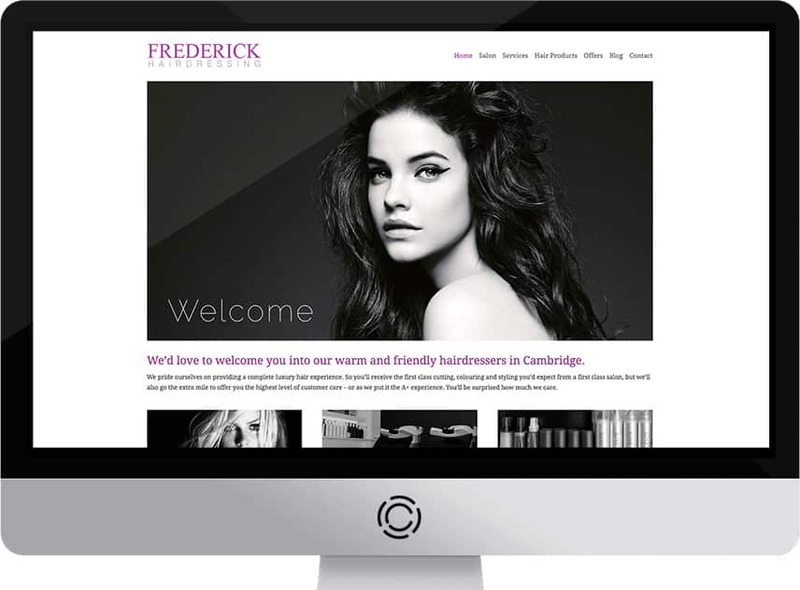 We ensured that the Frederick Hair website was responsive on all mobile devices like iphone and ipad and tested thoroughly. The website is a simple, clean, mobile friendly, user friendly design with easy to use navigation and dropdown menus. The client wanted to manage their banners, price lists and blog going forward so we installed a really easy-to-use, scalable content management system that will allow them to grow their website as their hair salon grows. We ensured that the website was search engine friendly and the client has seen a steady increase in visitors and traffic since the redesign.